@greatwarrior79's : color challenge tuesday a fresh orange tuna ! @arwinhiloma's : food photography lumpiang shangai ! @sonrhey's : heart soothing cover say you won't let go ! @renkingsley's : my drawing of a girl missing someone! @blessedsteemer's : my vehicle photography entry hosted by juliank a bicycle display! @fycee's : pushing yourself to the limits how to be a good writer! @bloghound's : ulog Day 25 bags and purses for free! @mahesh7's : about girls quote! @avhyaceulip's : mothers know best! @knopka's : my drawing and I the process of creating a picture step by step! @ckadie's : foodphotography my special chicken menudo today! @praise-eu's : how to manage your time effectively! @andyjem's : puerto calero lanzarote! @purpledaisy57's : upfundme for my grandson's baptism and 1st birthday 5th posting! @jovema's : ferarri car vehicle photography! @neilanthony's : 29th ulog entry the battle continues in street fighter 4 ! @ladyjah's : my day 6 of 7 positivity challenge i survived! @yanzel4lyf's : ulog 28 shine brighter just being yourself! @loraine's : upfundme please help me build a yarn shop day 24! @marionbowes': ulog 2 a plethora of rural mailboxes! @anikys3reasure's : ulog 9 the story of my life! @sweetnaomi's : having fun with friends! @fretz's : you deserve a love that makes you f better about yourself! @jenny018's : summer fun summer outing! @apyang's : let go of the negativity! @baden's : my little garden at home! @boknat2018's : it's hard to forgive someone who gave you so much pain! @sisay12's : when you are undecided! @travelideas' : philippines golden or a cat! @starzy's colorchallenge 100 hectares cebu safari and adventure park! @alliahjoy's : I feel it! @ernan82's : no power ! @medyomaldita's : chinese style butter fried salty shrimp for my dinner! @jhoevhee's : thursday green fruit of the angels! @uowa's : off work ride on! @hery1983's : one cocoa flower will become one cocoa fruit! @joshmarke's : the chinese and japanese garden! @mahayahayyouth's : suman moron twisted sticky rice cake! @benotbuday's : sabin resort pineapple statue! @gade's : colorchallenge thursday green! @ellechim0816's : upfundme day 11 for the medication of my sick mother! @ckadie's : macro photography petals of an orchid! @andyjem's : cactus garden mala lanzarote! @euronation's : hanging IN there! @msphoenix's : ulog 002 not sisters by blood but sisters by heart! @dwightjaden's seven day black and white challenge day 1 ! @manvillar's : ulog no 15 me my brother and 2 little bird! @catietan's : my friday inspirational thoughts! @jacoblayan's : rejoice pray grateful! @haristourist's : let's eat sate ayam baby! @cool08's : a dream come true! @scilla-eu's : world's rarest psychotic disorders 2 the walking corpse syndrome! @baden's : the aloe vera plant! @tatravelvlogs' : colorchallenge thursday green tarsier in bohol! @chenie's : comedy open mic round 16 don't talk when your mouth is full! wow Congrats to all featured and I am happy to be one. Congrats to my group membere @jovema, @yanzel4lyf, @neilanthony, @loraine and @ladyjah. Also @bloghound, @dwightjaden and @mrnightmare. Another set of featured posts from @steem-untalented. Congratulations to @dwightjaden @bloghound @blessedsteemer @greatwarrior79 and everyone who got curated. Congratulations to all Steemians. God bless everyone. It is always amazing to see the talent in untalented posts! Congratulations to all featurees! 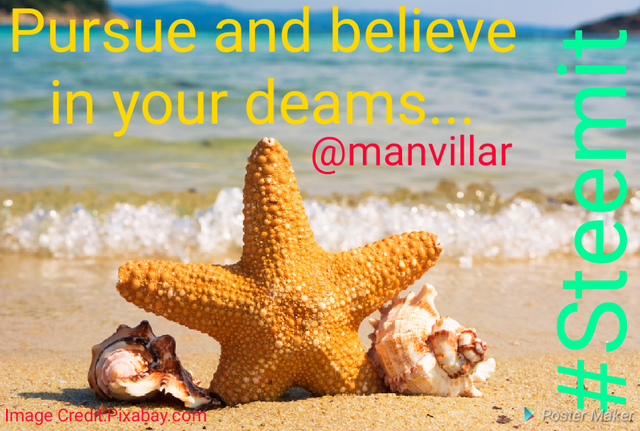 Especially to sir @dwightjaden, @yanzel4lyf, @bloghound, & @blessedsteemer thank you for sharing your post guys! That is a long list of people who should be quite happy now. I approve. Congratulations to the untalented listers in this batch especially to @dwightjaden, @yanzel4lyf, @bloghound. Congratulations to all Steemians who have been curated in this batch.. Ypu all deserved it. To those fellow steemians who were curated and featured here, congratulation! the #untalented has been curated. congratulations to all who made it. Good job and keep it up. 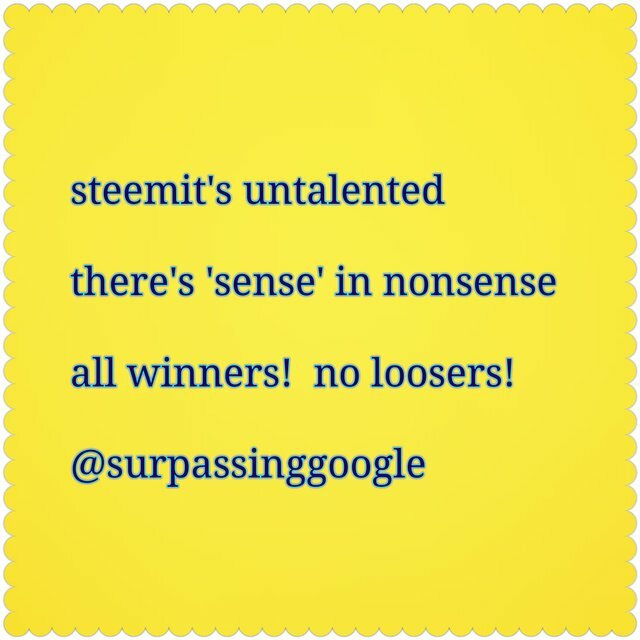 Again thanks so much for your valuable encouragement and enlightening post #steem-untalented! I love the line: With #untalented flaws are allowed. Maraming salamat po sir terry @surpassinggoogle for @steem-untalented! Congrats to us all curated! God bless! By the way, praying for your Father to get well. To all fellow steemians featured here... congratulations.!! Good job..more posting..